For weeks people have been asking if I was going to review WooCommerce Memberships. The answer was a loud, “Yes!” But I had plans. Because you don’t just throw in a review like this in the middle of the series. You bring it out towards the end, so people who have been reviewing and reading can see for themselves how awesome it is. 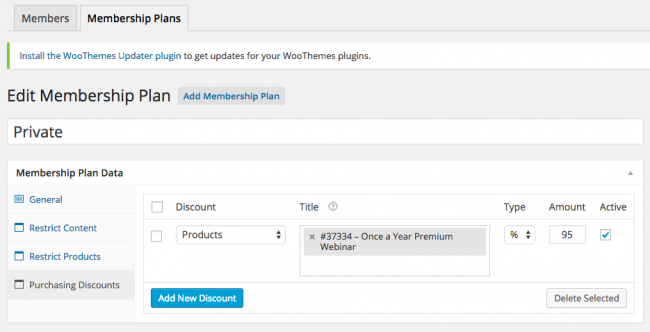 WooCommerce Memberships is incredibly powerful and easy to use. In case you missed it, here are all the other reviews to date. So for review #28, we’re looking at one of my favorite plugins – even though it’s only been around for a bit: WooCommerce Memberships. Let me stop there for a second. I say this on the video below, but let me emphasize this. No one has done more subscription work in WordPress than Prospress. I don’t think there is anyone that has spent the time to do subscription management better than Prospress. They have dug deep to understand upgrades, downgrades, pausing and re-starting subscriptions. This is no small task and is a highly complicated domain of expertise to develop. And they have done it. Their Subscriptions extension makes WooCommerce and WooCommerce Memberships worth using – simply because of the power their subscription engine brings to the table. At this point, you should be wondering if there’s anything it doesn’t do, right? Let me show you. This video will highlight the fact that Memberships is better than any other membership plugin that is trying to do more than just content protection. Memberships is better than anything else if you’re trying to do more than content protection. What do I mean by that? Simply, that when I wrote about building a platform, I highlighted the need to support eCommerce activity. People who are members also want to go to events, buy t-shirts, and more. Check out this screen for member discounts. Part Seven: Is Rainmaker the right platform for me? Consider this part Eight – Why WooCommerce, Subscriptions & Memberships is a fantastic solution for your platform. Memberships delivers on this promise brilliantly. But don’t take my word. Watch it below (if you don’t see the video – this is the URL). So let’s get to it. The score you’ve been waiting to see. Oh my goodness. Maybe I should have left this one to the final review. Pretty sure the last two will score high, but maybe not this high. * To score this well, you must use WooCommerce, which is a prerequisite, and also Subscriptions.